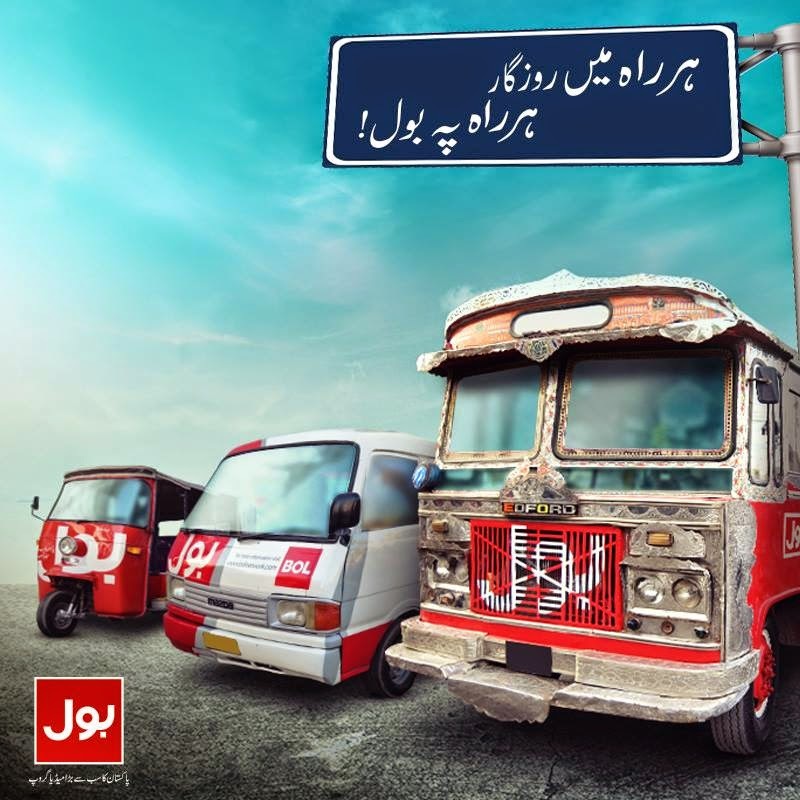 Media Watch 360: BOL Family Program providing Rozgar upgrading Public Transport: Simply CSR or Brilliant Marketing Strategy? BOL Family Program providing Rozgar upgrading Public Transport: Simply CSR or Brilliant Marketing Strategy? With so many statements of intent in the past few months, BOL Media Group has certainly caused more than just a buzz in the market about its imminent arrival straight into the top tier of Pakistani media channels. After dazzling the public with their tremendous plans, such as having the best paid employees and providing a alluring array of facilities (publicized as the BOL lifestyle) , BOL seems focused on acquiring the best mix of talent and experience in the Pakistani media industry. It has accomplished that with the like of KamranKhan and Waseem badami. Through this initiative, BOL will definitely add positivity to décor of the public transport system of Pakistan, provide countless people with additional income and provide free repairs for these vehicles all over Pakistan. This smart CSR initiative will do wonders for BOL Media Group’s image all over Pakistan but just consider that how many folds will it increase the visibility and recognition of Brand Name among the masses. While many brands in Pakistan have opted for vehicle branding, it seems to be the first time any brand has merged this activity with CSR perspective by upgrading the public transport all over Pakistan. Now that surely qualifies as genius marketing; shooting two birds with one stone! As a marketer, you cannot find a single glitch in the promotional strategy of BOL’s marketing team. Taking into account all that BOL has done over the last few months and culminating into this clever CSR idea. This campaign has just added to the immense buzz the media group has generated and has only increased the anticipation of what are we marketing spectators going to enjoy when BOL is about to hit the airwaves?